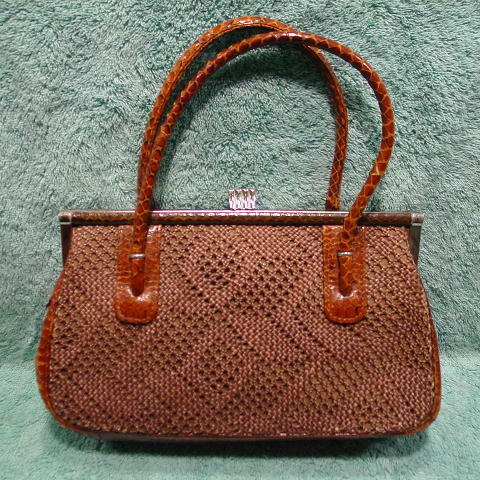 This vintage handbag has padded 14" handles which are covered in a multi-tone caramel color with touches of black snakeskin. 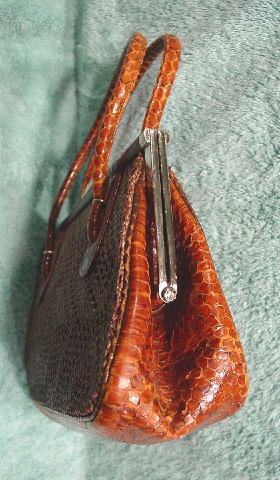 The sides, bottom, handle bases, and trim edging are also in snakeskin. The front and back are covered in a faux see-through knitted pattern with a fabric backing. 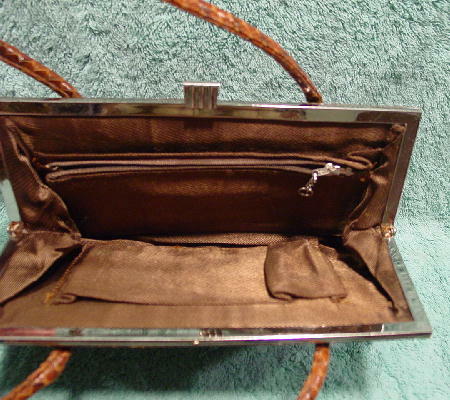 It has a golden darker brown synthetic fabric lining with an interior open compartment, zippered compartment, single open pocket, and lipstick holder. There is a metal rim which is covered in snakeskin on the top side and an elevated metal closure.